QueryBasedSource represents a category of sources whose data is pulled by sending queries. A dataset of a source is identified as a SourceEntity. Query can be done by sending HTTP requests or SQL commands. A source often, but not always, has a corresponding QueryBasedExtractor, which defines the way and implements common routines to extract data from the source. pick up previously failed work units. At last, it will group several work units as MultiWorkUnit according to the mr.job.max.mappers configuration (Note: other categories of source might have a different approach to group work units into MultiWorkUnit). Currently in Gobblin, depending on how an extractor communicates with a source (or different communication protocols), a QueryBasedExtractor falls into 2 categories: RestApiExtractor and JdbcExtractor. A specific extractor has to provide some source specific logic in order to successfully extract information from the source. The actual implementations of those methods are pushed to an upper layer, which uses its own protocol(e.g. Rest Api or Jdbc. The examples given are using Jdbc.) to query the source. While querying the record set for the last work unit, the upper bounds will be removed if appropriate. For a daily open-ended full dump job, it will fetch a more complete data set as there might be some new data generated or existing data changes between the data query creation and execution. Likewise, the actual implementations of those methods are pushed to an upper layer. See chapters: Rest Api, Salesforce. source.entity Must Provide Name of the source entity that will be pulled from the source. It could be a database table, a source topic, a restful entity, etc. source.max.number.of.partitions 20 Maximum number of partitions or work units to split this current run across. Only used by the QueryBasedSource and FileBasedSource. source.querybased.watermark.type Must Provide The format of the watermark that is used when extracting data from the source. Possible types are timestamp, date, hour, simple. 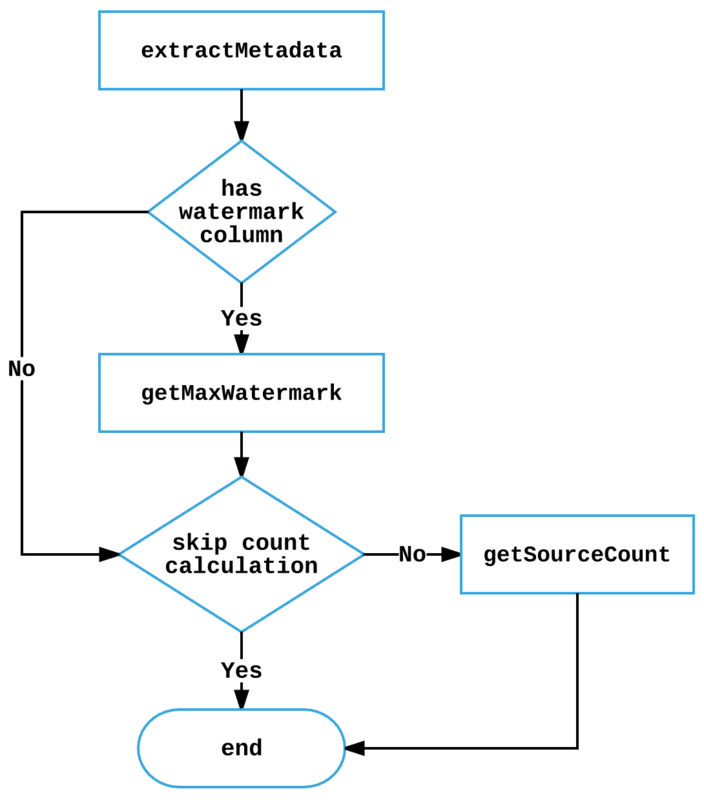 source.querybased.start.value Must provide Value for the watermark to start pulling data from, also the default watermark if the previous watermark cannot be found in the old task states. source.querybased.end.value Optional The high watermark the job should pull up to. extract.delta.fields Optional List of columns that are associated with the watermark. source.querybased.skip.count.calc False Disable calculating the total counts of records to be pulled from the source.